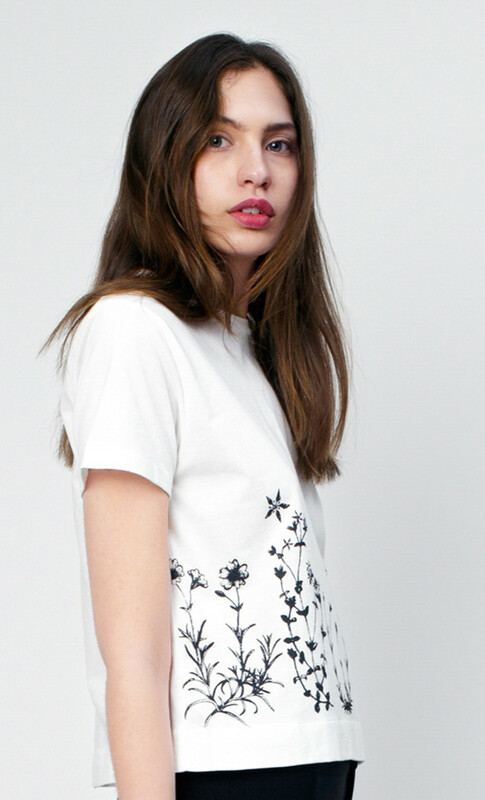 Classic T-shirts are a summer essential. This crew-neck style is made from soft pure cotton-jersey. cut for an oversized fit it's cropped silhouette has that cool feel. 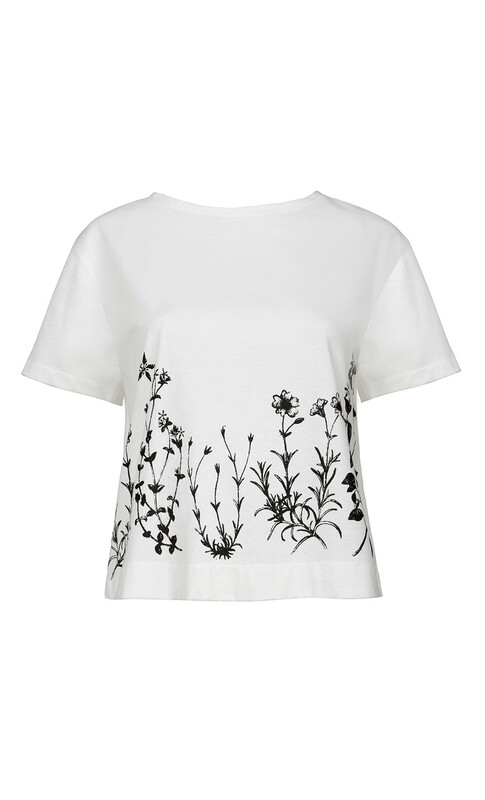 It's printed with a graphic black\white flowers that pop against the white background.